If the legislation is passed, the province would finance the loan by using the $30 million provided in the recent federal budget to backstop a loan much larger and at more favourable rates than the OWA could access on its own. "This is about creating jobs and fixing a long-standing problem. Albertans are concerned about the growing number of orphaned oil and gas wells, and the landowners directly impacted deserve a government that takes this issue seriously," said Premier Rachel Notley. "We're proud to work with industry to get orphaned wells cleaned up - it's good for our environment, good for landowners and the jobs created will help make life better for Albertans." 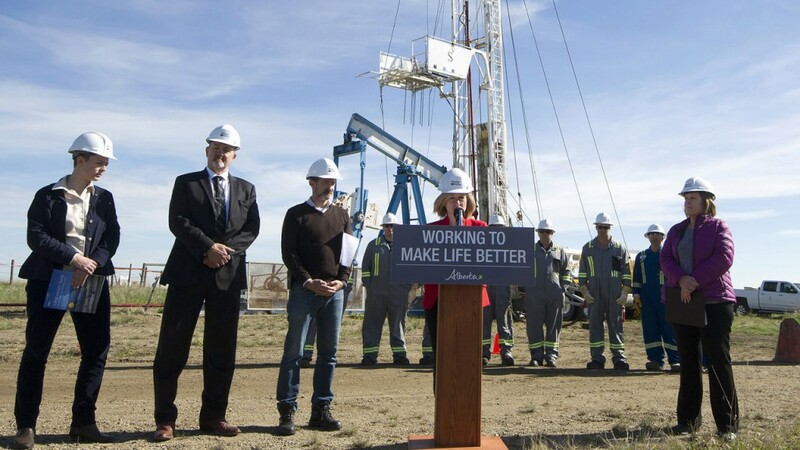 "This loan to the OWA will provide jobs for hard-working Albertans in the oilfield and environmental service sectors. By enabling this work to happen right away, we're able to reduce the backlog of orphan wells throughout Alberta while maintaining our polluter-pay principle," added Minister of Energy Margaret McCuaig-Boyd. "This is critical to ensure that Albertans won't be on the hook for this important work that was ignored for far too long." The OWA is an industry-funded agency that works to close and reclaim infrastructure from oil and gas companies that no longer exist. This involves removing equipment, sealing wells and ensuring the safety of the site for the public. "The Orphan Well Association welcomes and appreciates the Government of Alberta's assistance to accelerate the abandonment and reclamation of orphaned wells in the province. Industry has always assumed responsibility for its activities in the province and the $235-million repayable loan will go a long way to return Albertans to work and accelerate returning orphaned properties to their original state," stated Brad Herald, OWA chair. The loan program would be in addition to the ongoing closure and reclamation operations done every year by the OWA. The loan will be repaid to the Alberta government over a 10-year period. Repayment will be funded through the existing orphan fund levy paid by industry and managed on the OWA's behalf by the Alberta Energy Regulator. "PSAC is pleased that our advocacy efforts to help get our member companies and their employees back to work have come to fruition and applauds the Alberta government for using federal funds to create more jobs for our beleaguered sector," stated Mark Salkeld, president and CEO, Petroleum Services Association of Canada. "This funding will help our sector through these continuing challenging times, providing jobs so that we can retain the skills and expertise needed to ensure responsible development of our energy resources and positively contribute to Alberta's reputation as responsible stewards of the environment." In addition to the OWA loan program, the Alberta government is working with industry and experts to find ways to better protect Albertans and the environment over the long term by improving the policies for managing old oil and gas liabilities. Diverse perspectives helping inform policy discussions include representation from industry, landowners, environmental groups, municipalities and Indigenous communities. This work will continue through 2017. "Orphaned wells pose a significant environmental risk for communities and the landowners who have inherited these impacts with no responsible owner," said Nikki Way, analyst, Pembina Institute. "Pembina is encouraged by this effort in parallel with the ongoing efforts to review and reform the existing inadequate rules in place to address root causes of this problem and ensure that liabilities for cleanup are not transferred to Albertans."